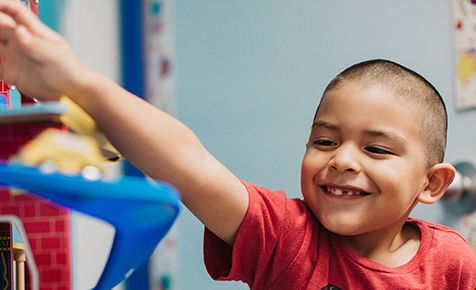 Tina has been a speech-language pathologist since 2005 and has been working at the San Diego RiteCare Childhood Language Center since October 2007. She received her Bachelor of Science degree from Miami University in 2003, and her Master of Arts degree from the University of Cincinnati in 2005. 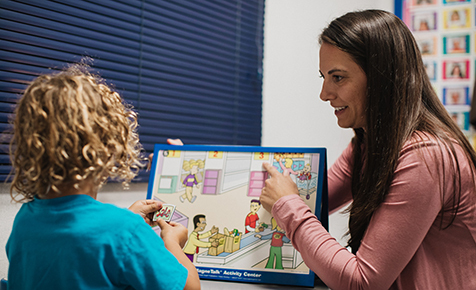 Tina holds a Certificate of Clinical Competence in Speech-Language Pathology (CCC-SLP) from the American Speech-Language-Hearing Association (ASHA), and is licensed as a Speech-Language Pathologist in the state of California. Tina served as the Center Coordinator for the San Diego RiteCare Childhood Language Center from August 2011 through February 2015, when she was appointed Center Director. Jenn completed her Required Professional Experience and Clinical Fellowship at the San Diego RiteCare Childhood Language Center in 2017. 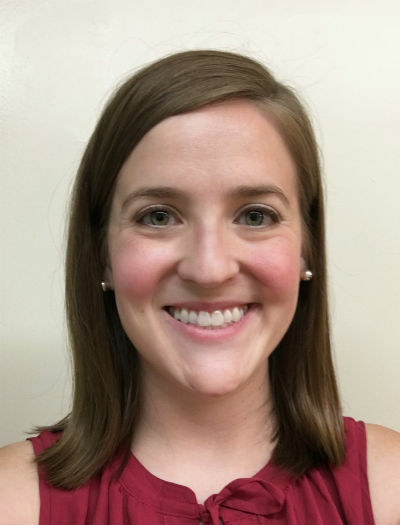 She received her Bachelor of Science degree from Clemson University in 2014 and her Master of Speech-Language Pathology degree from the University of South Carolina in 2016. 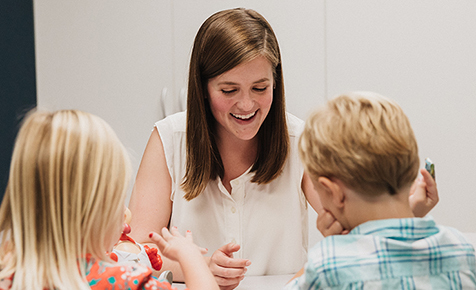 She now holds a Certificate of Clinical Competence in Speech-Language Pathology (CCC-SLP) from the American Speech-Language-Hearing Association (ASHA), and is licensed as a Speech-Language Pathologist in the state of California. During her graduate career, Jenn worked with children of all ages in multiple settings, including a preschool, a private practice a special needs school, and a university clinic. 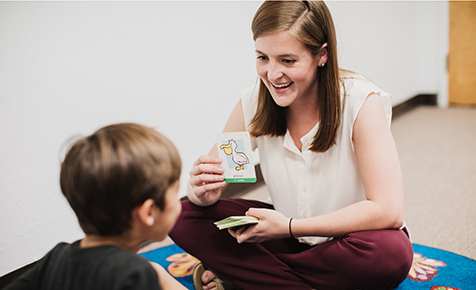 She has always enjoyed working with children and is particularly interested in articulation and phonological disorders, apraxia, and language delays. 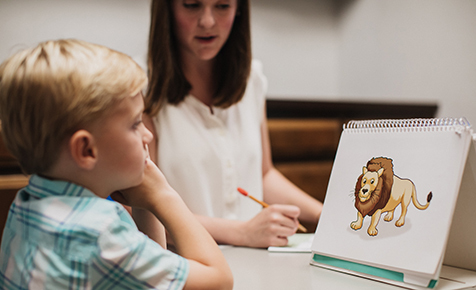 Jenn is a strong advocate of parental involvement and positive reinforcement to impact a child’s success in therapy. 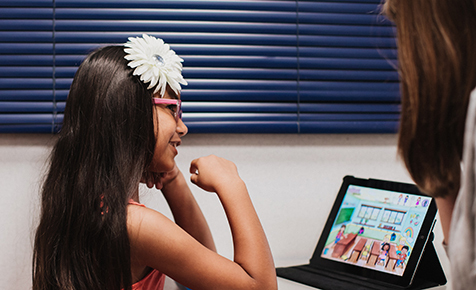 Irna has over 19 years of experience working as a pediatric speech-language pathologist. 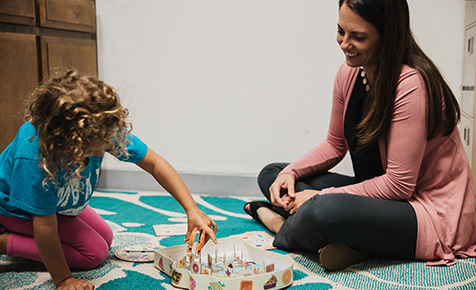 Prior to moving to San Diego, she spent 12 years at Providence Children’s Center, a multi-disciplinary neurodevelopmental center in Everett, Washington. 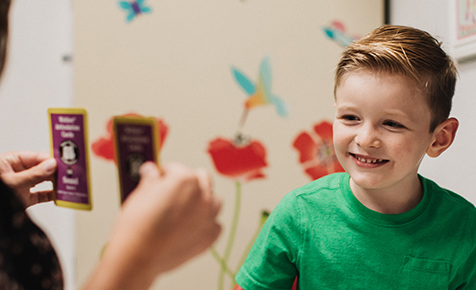 Irna then opened her private practice, the Communication Center for Kids, providing innovative intervention to children with a variety of communication needs and complexities in Arlington, Washington for over 7 years. 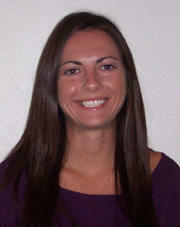 Caitlyn McTaggart, a native of San Diego, earned her B.A. in Communication and Professional Writing from the University of California, Santa Barbara and her M.A. in Nonprofit Leadership and Management from the University of San Diego. Caitlyn has over ten years of experience in nonprofit management, primarily in fundraising, strategic planning and board development. She has raised millions of dollars for various nonprofit organizations, including the YWCA of San Diego, the Magdalena Ecke Family YMCA, San Diego Hunger Coalition, Scripps Ranch Theatre and the Rotary Club and Foundation of Honolulu. She also founded Girls on the Run of Hawaii in 2012 and helped establish the chapter of Young Nonprofit Professionals Network here in San Diego.the chapter of Young Nonprofit Professionals Network here in San Diego.